What's on show at controversial arms fair? 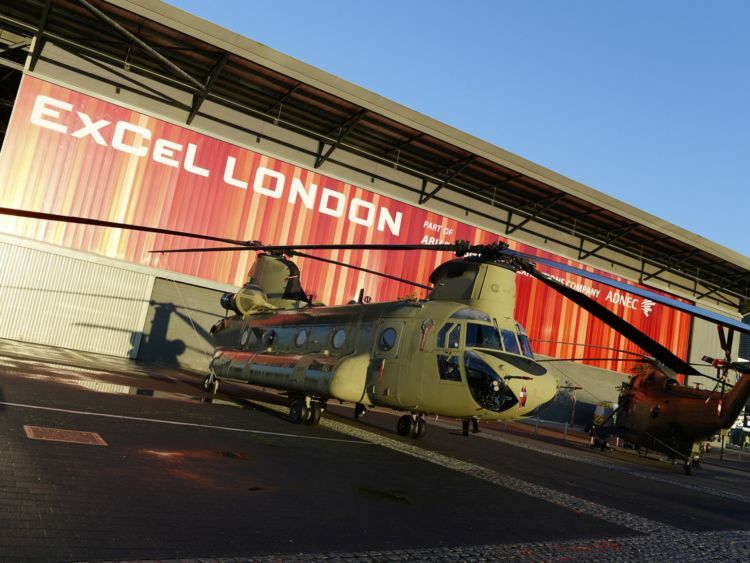 More than 1,600 exhibitors from 54 countries are attending the Defence and Security Equipment International (DSEI) at ExCeL. Defence Secretary Sir Michael Fallon and Liam Fox, Secretary of State for International Trade, will speak at the event alongside the chiefs of staff of the UK’s armed forces. In 2015/16, the Ministry of Defence spent nearly £19bn, accounting for over 40% of all UK government procurement spend and representing the fifth largest defence budget in the world. Here is what will be on show. Among the controversial companies keen to grab a slice of that very large pie is surveillance business Dataminr, which is 5% owned by Twitter. With exclusive access to Twitter’s entire real-time stream of public tweets, Dataminr was used by US intelligence agencies until the social media company banned them from the service. Reports claimed that the British government expressed frustration at the decision to turn away government customers, noting the same data was available to private companies. 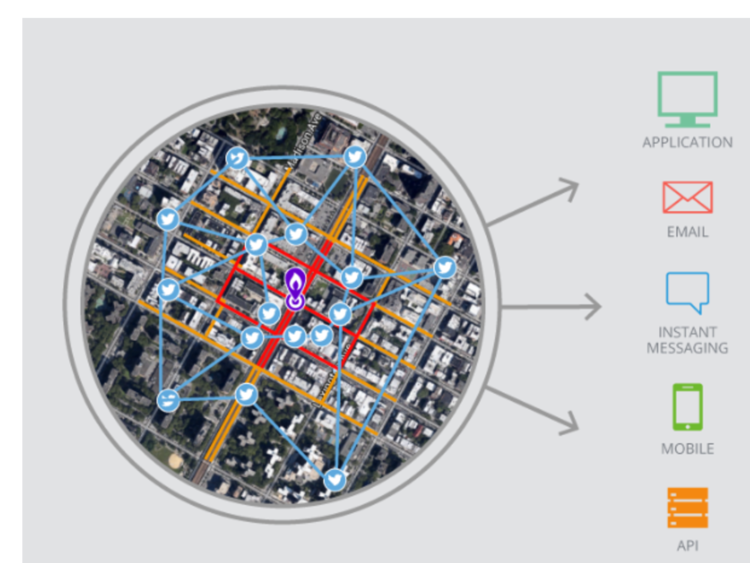 Dataminr had previously produced a brochure advertising how the company could use geospatial analytics to monitor a student protest in South Africa by tracking key words and hashtags. The four largest UAV (unmanned aerial vehicle) vendors are all in attendance at DSEI, including General Atomics, which develops the Predator and Reaper line of drones used by the UK military. Unmanned aerial vehicles are an increasingly popular part of military hardware, whether conducting surveillance or delivering ordnance. Drone strikes are growing increasingly controversial, despite the enormous safety advantages that the technology offers to pilots. The UK has equipped its drones with Hellfire missiles and GBU-12 Paveway laser-guided bombs, which have been used to destroy Islamic State weapons and kill personnel in Iraq and Syria. Manufacturers of the Hellfire missiles will be in attendance, with three of the top four arms-producing companies – Lockheed Martin, Boeing and Northrup Grumman – having produced versions of the weapon. 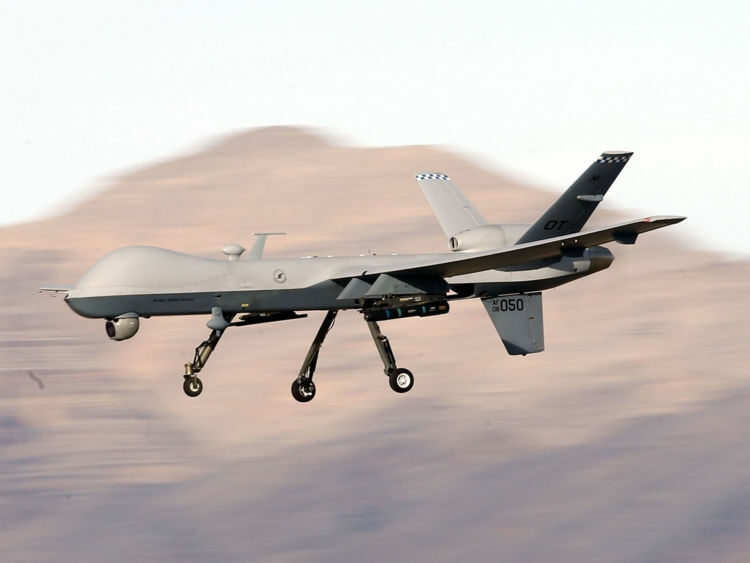 MPs have called for the Government to clarify its position on drone strikes being used in targeted killings. Eight aerial vehicles, including a Chinook and a Blackhawk, will be on static display at the event, alongside nine displays of land vehicles and systems and six marine defence platforms and prototypes. There will also be seven warships visiting the fair; five from the Royal Navy, including HMS Argyll. The two foreign vessels are the Belgian navy ops vessel, BNS Pollux, and the Irish Naval Service vessel, LE Samuel Beckett, which was accompanied up the Thames yesterday by the Met police. Companies are showing off other novel devices and technologies that they hope will attract a portion of the UK’s sizeable defence budget. One firm is offering military units tiny drones that can be carried in soldiers’ pockets and deployed to help them see around corners or other obstructions without exposing themselves to gunfire. Others are selling devices for monitoring soldiers’ thermoregulatory and cardiovascular responses to the challenges of the battlefield or the training centre. One company that had made small and low-cost encrypted radio devices for the recreational market will be attempting to sell them to the defence sector. Another project supported by the Dutch Military Police is offering a netgun which can be used to take illegally operated quadcopter drones from the air.